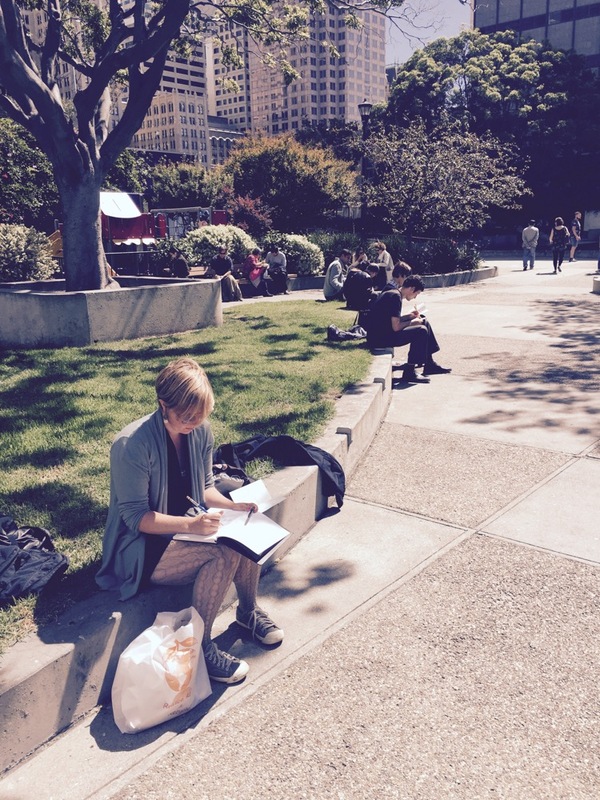 Sketchy Tuesday is an urban sketching adventure. 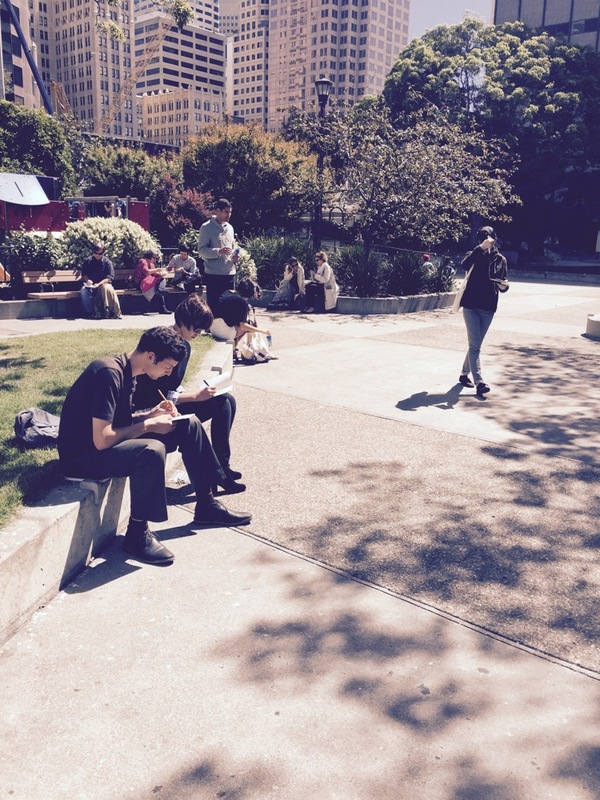 Gather with a group of architects, sketchers, designers and enthusiasts every Tuesday in September at noon to sketch the city and meet a creative community. 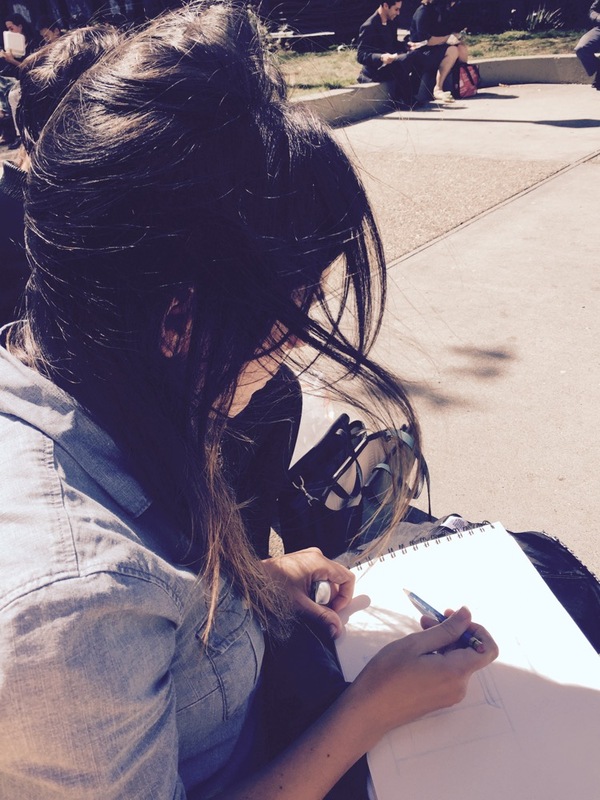 Keep the art of sketching alive, by joining us for the second year of Sketchy Tuesday! 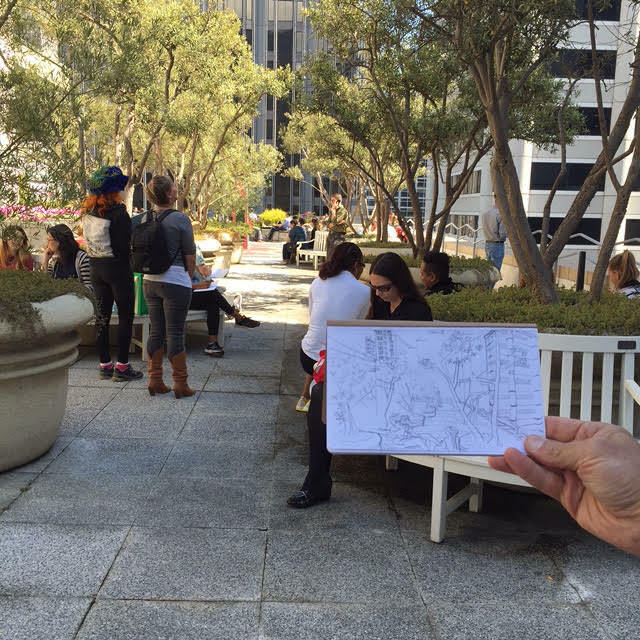 Sketchy Tuesday was created by Landscape Designer Alyssa Erickson, who invited the Arterra team to go outside, get "lunch together and sketch our surroundings in sketch books." From our first outing to Del Popolo Pizza at the Front Cafe, we were hooked and Sketchy Tuesday quickly became an office tradition. We feel like the weekly sketching has improved our drawing skills and livened up our design process and we've looked forward to the weekly event so much that we wanted to share the idea. 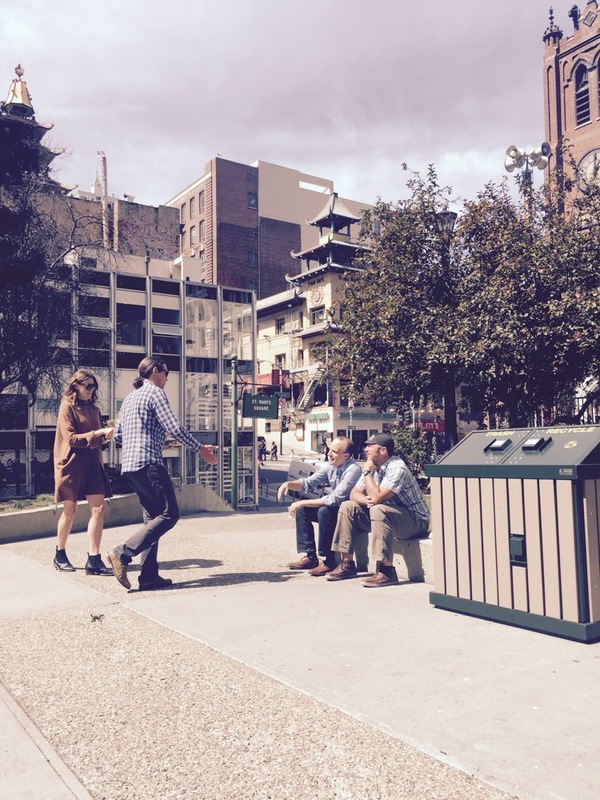 We've partnered with the AIASF for their annual festival Architecture and the City to bring this free event to the public every Tuesday in September. 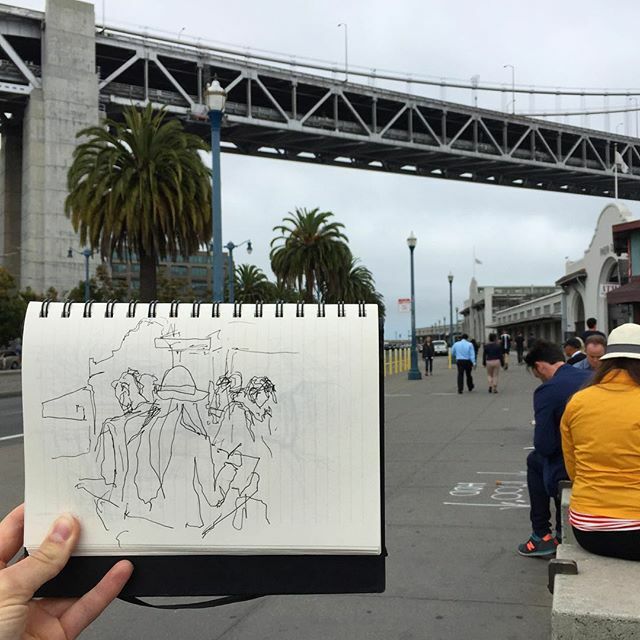 Join us for Architecture and the City's first 2016 Sketchy Tuesday at the new SFMOMA in one of their public spaces. We are very excited to collaborate with SFMOMA for this event, and to have the chance to sketch some of the incredible new architecture and public artwork. 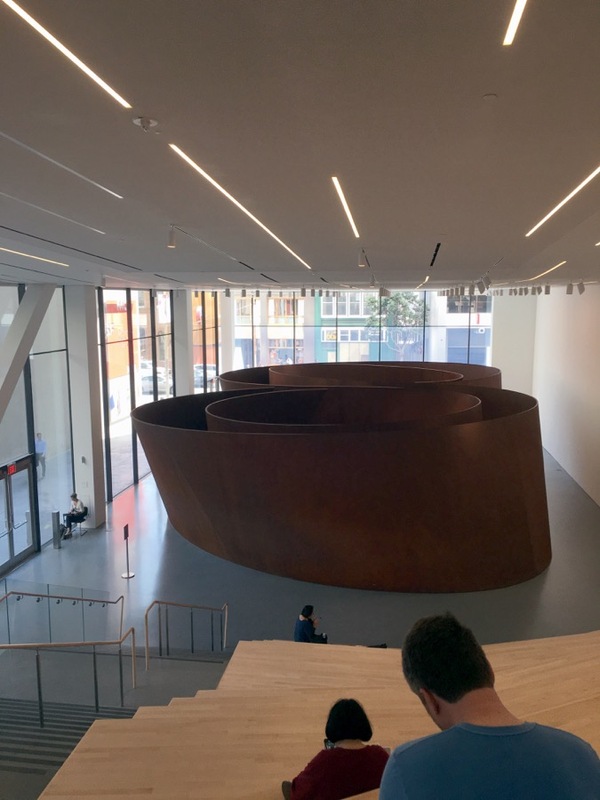 We will meet at the amphitheater in the Roberts Family Gallery overlooking Richard Serra's Sequence. 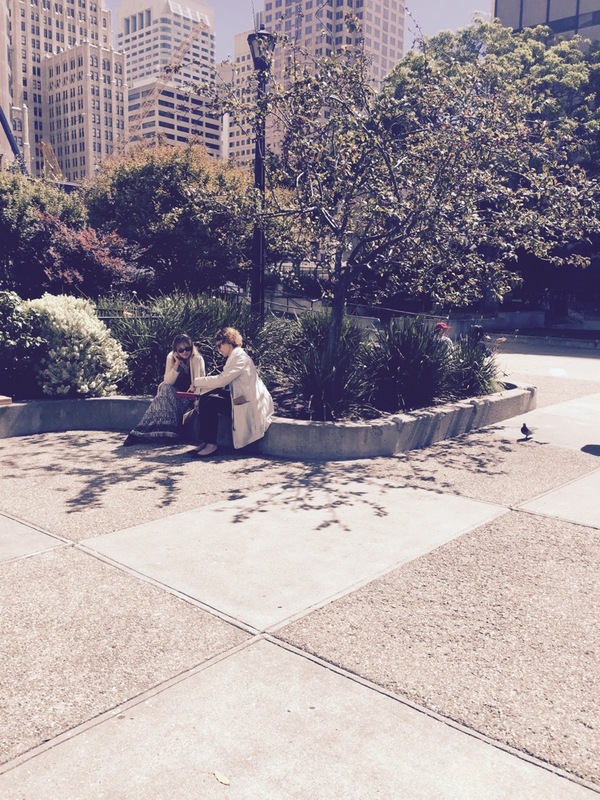 The gallery is easily accessed through SFMOMA's Howard Street Entrance, near 678 Howard Street. Look for the Sketchy Tuesday team member with the blue parasol to show you the entrance. Food and drink are not allowed in the museum. Please plan on eating before or after. There are many great lunch spots right around the museum. Pens are also not allowed, but pencils are fine. It will be fun to see everyone working in the same medium. SFMOMA is easily accessed from BART and Muni lines on Market Street. Enter the lobby of 343 Sansome Street. Walk through the lobby to the elevator, and take the elevator to the 15th floor. 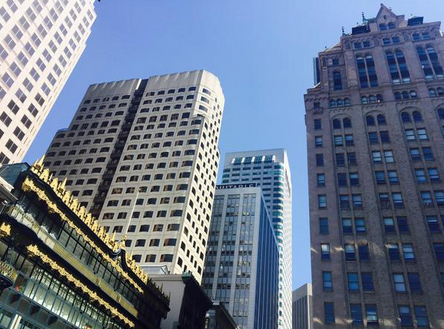 You'll see us there on the roof garden, enjoying a spectacular view of the Transamerica Pyramid. This location is in the center of the Financial District, so it's very accessible by transit, and has many lunch options nearby. This location has so much to sketch that we didn't get to it all last year, and thought we would do it again. At 855 Terry, you'll see the Ramp Restaurant. To the right of the restaurant, look for the Sketchy Tuesday team member with a blue parasol, who will be there to show you the path. Just in case, here are some directions: To the right of the Ramp Restaurant is a public path. 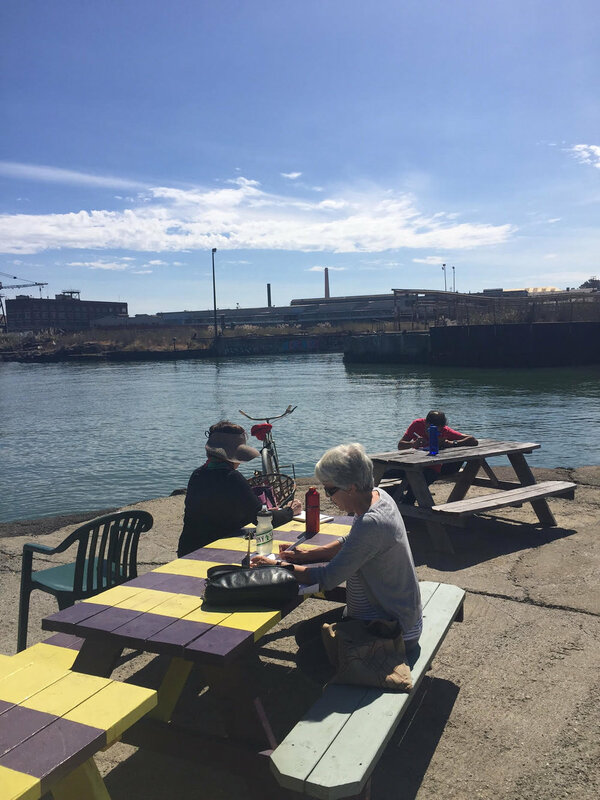 Take the path down to the waterfront, and look to the right, and you'll see an open area with tables. We love The Ramp Restaurant for lunch, but it can be busy and there are limited other options in the area. You may want to pack food or pick something up along the way. Join us for a special collaboration with Heath Ceramics, at their Mission District location. Meet us in the Boiler Room, Heath's fabulous gallery space. There is plenty of seating, and you can try your hand at drawing the boilers or the striking beams and windows that define the space.